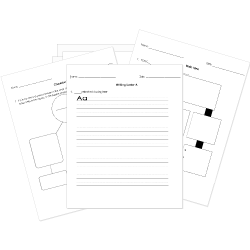 You can create printable tests and worksheets from these Grade 3 Alexander Who Is Not Going to Move questions! Select one or more questions using the checkboxes above each question. Then click the add selected questions to a test button before moving to another page. Which literary genre is this story? When Alexander was remembering all the special places he has been to, What did his mother have to pay $80 for? In the story what did Alexander always want? Alexander wants to stay with neighbors while his family moves. In the story the word "barricade" was used. What is the correct definition of the word? His dad got a new job and they have to move. Alexander loves to move to a new city with his family.